Montecristo in Whitefield has a beer garden. The pub has a car park, it has an outside area. Montecristo has a smoking area. The pub has free WiFi, it shows football on TV. Montecristo has Sky Sports. The pub has terrestrial TV. 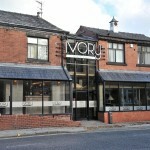 Antonios in Whitefield has an outside area. The pub has a smoking area, it has free WiFi. Antonios shows football on TV. 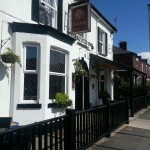 Cross Keys in Whitefield has free WiFi. The pub shows football on TV, it has terrestrial TV. Bee Hive Hotel in Whitefield has a dart board. The pub has a pool table, it has a big screen. Bee Hive Hotel shows football on TV. The pub has terrestrial TV. 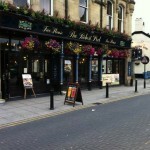 Sir Robert Peel in Unsworth has a car park. The pub has a cocktail bar, it is a family friendly pub. Sir Robert Peel serves food. The pub has an outside area, it has a smoking area. Sir Robert Peel has free WiFi. The pub has a dart board, it has a pool table. Sir Robert Peel has a big screen. The pub shows football on TV, it has Sky Sports. Sir Robert Peel has terrestrial TV. Whether you’re just popping in for a quick drink, dinner or a fun packed evening with friends, The Parkfield Inn is the perfect place to escape and relax with friends and family in comfortable surroundings. 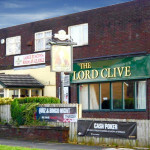 Lord Clive in Whitefield has a beer garden. The pub has a car park, it has disabled facilities. Lord Clive is a family friendly pub. The pub has a function room that can be booked, it has a smoking area. Lord Clive has free WiFi. The pub has DJ's, it holds Poker Nights. Lord Clive has a big screen. The pub has BT Sport, it shows football on TV. Lord Clive has Sky Sports.